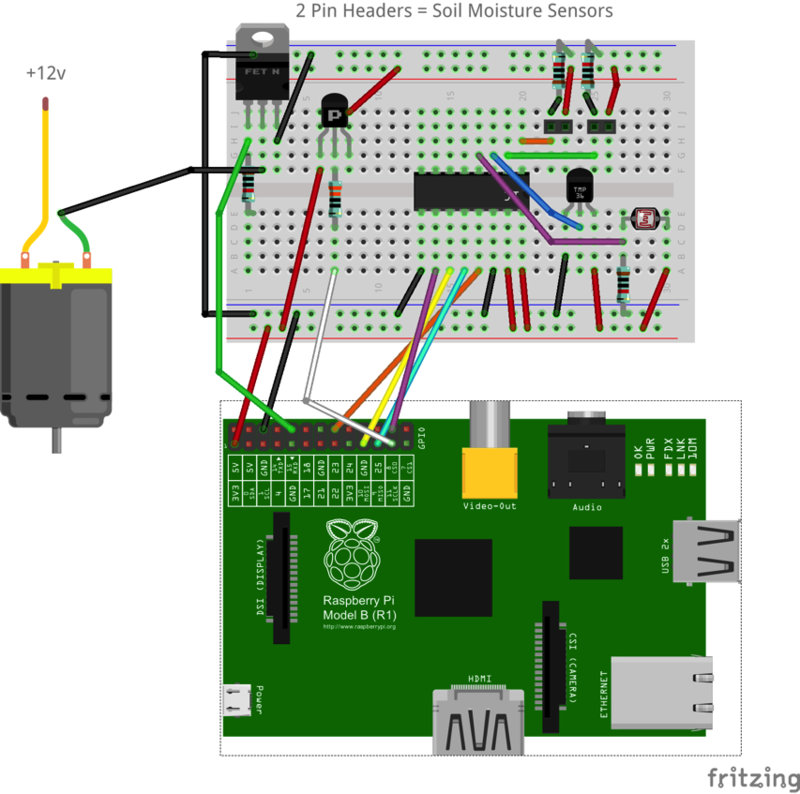 PiPlanter 2 #piday #raspberrypi @Raspberry_Pi « Adafruit Industries – Makers, hackers, artists, designers and engineers! Since I returned to college the PiPlanter has been running without me having to do any maintenance on it at all. The plants are still alive and growing and all processes associated with the PiPlanter are still going. I figure now is a good a time as any to bring together all of the work I’ve done to till this point in one concise post. This does NOT mean I’m done working on future versions of the PiPlanter. I’ll hopefully write another post stating goals for the future sometime soon. Now onto the build tutorial…. In the previous version of the PiPlanter, I didn’t have a concrete parts list for the project. Hopefully I’ll be able to keep this spreadsheet updated if the project changes. A lot of these components are mix and match, you could use pretty much any pump (The math for volumetric pumping is done with this pump) or any tubing or any power supply that can do 12v and 5v. A computer PSU would work great as well. The two sets of header blocks are to be replaced by the moisture sensors, and the motor replaced with the pump. To distribute the water to the plants, attach the vinyl tubing to the outflow of the pump and seal off the other end of the outflow tube. 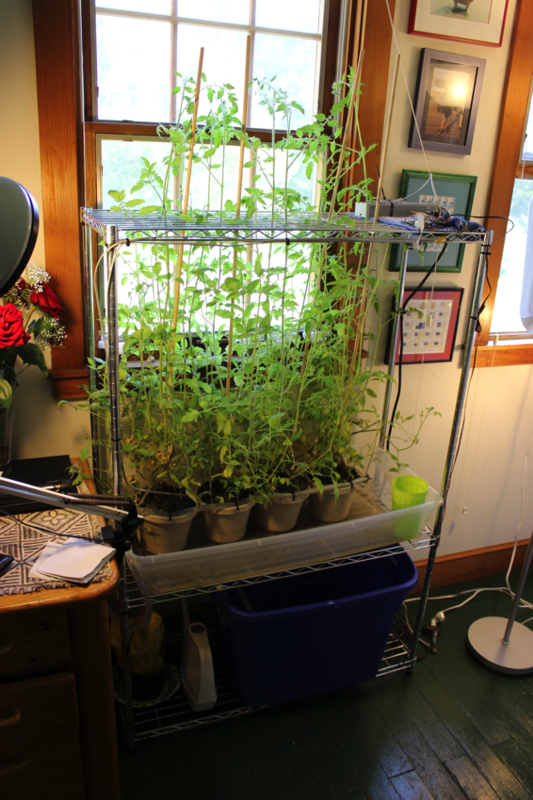 Run the tubing along the plants and drill holes wherever you’d like the water to exit. 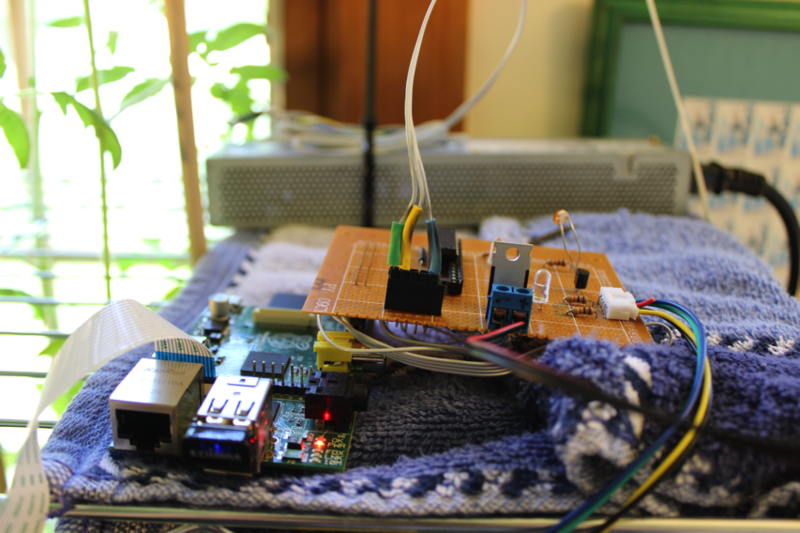 You’ll also need to install the camera module in the Pi and point it wherever you’d like the frame of the photo to be.